Mrs. Evelyn Holden Shackelford , longtime Mount Olive resident, passed away peacefully on Wednesday, January 30, 2019 at Kitty Askins Hospice Center, Goldsboro. She was born April 29, 1926 in Franklin County to the late Otha Thomas Holden and Mattie Pearce Holden. She was preceded in death by her only sibling, Frances Holden McSwain. She is survived by her husband of 71 years, Dr. Robert Hilliard Shackelford and their three daughters, Brenda Shackelford Baldwin and husband, Barton, Mount Olive; Jane Holden Shackelford, Mount Olive; and Gail Shackelford Narron and husband Johnny, Smithfield. Several grandchildren survive her; Nicole Baldwin Beale and husband, Seth, Winston-Salem; Whit Baldwin and wife, Jenny, Astoria, NY ; Holden Royall, Raleigh; Julia Royall, Morehead City; Jane Royall Yarbrough and husband, Andrew, Durham; Dr. John Narron Ill, Greenville and three great granddaughters, Evelyn (Evie) Beale, Betty Baldwin and Surrey Yarbrough. Additional surviving family include sister-in-law, Rachel H. Shackelford, Greensboro; as well as many nieces and nephews including her sister’s son, Wade McSwain and wife, Marian, Albemarle. Mrs. Shackelford was a 1944 graduate of Hugh Morson High School, Raleigh. She completed nurses training (RN) at the North Carolina Baptist Hospital School of Nursing, Winston-Salem in 1947. While she was there, she met her future husband, Robert Shackelford of Kinston, who was attending Bowman Gray School of Medicine. They were married on December 20, 1947 and relocated Mount Olive in 1949 where her husband established his medical practice. 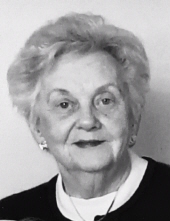 She was an active member of First Baptist Church, Mount Olive and was a volunteer in many community organizations, Wayne County Public Schools and the Wayne County Medical Auxiliary. She was a great supporter of her husband’s medical career and participated with him in his many active roles in the North Carolina Academy of Family Physicians and the American Academy of Family Physicians. The Shackelford family would like to thank all who cared for Evelyn, especially her caregivers at home, Rhonda Smith and Dean Coats. A special thank you to Dr. Hervy Kornegay, her physician, and also co-founder of Mount Olive Family Medicine Center, along with Dr. Shackelford. A Celebration of the Life of Mrs. Evelyn Shackelford will be held Saturday, February 9, 2019, at 2:00 p.m. at First Baptist Church, Mount Olive. Dr. Dennis Atwood will officiate. The family will receive friends in the sanctuary following the service. Mrs. Shackelford brought laughter with her wry sense of humor to her family and friends. We are thankful that her laughter will remain with us. Her loves were her husband, daughters and their families, and the times they spent together at Atlantic Beach every summer. She enjoyed her home and yard, fashion, decorating, flowers, friends, extended family, and last but not least, chocolates and ice cream. Flowers are welcomed. Memorials may be made to First Baptist Church, P, O. Box 239, Mount Olive, NC 28365 or the charity of your choice. To send flowers or a remembrance gift to the family of Evelyn Holden Shackelford, please visit our Tribute Store. "Email Address" would like to share the life celebration of Evelyn Holden Shackelford. Click on the "link" to go to share a favorite memory or leave a condolence message for the family.